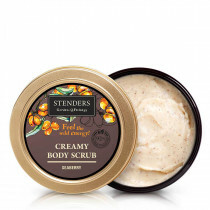 STENDERS Bath and Body Care Cosmetics :: Smooth your way for beautiful skin! 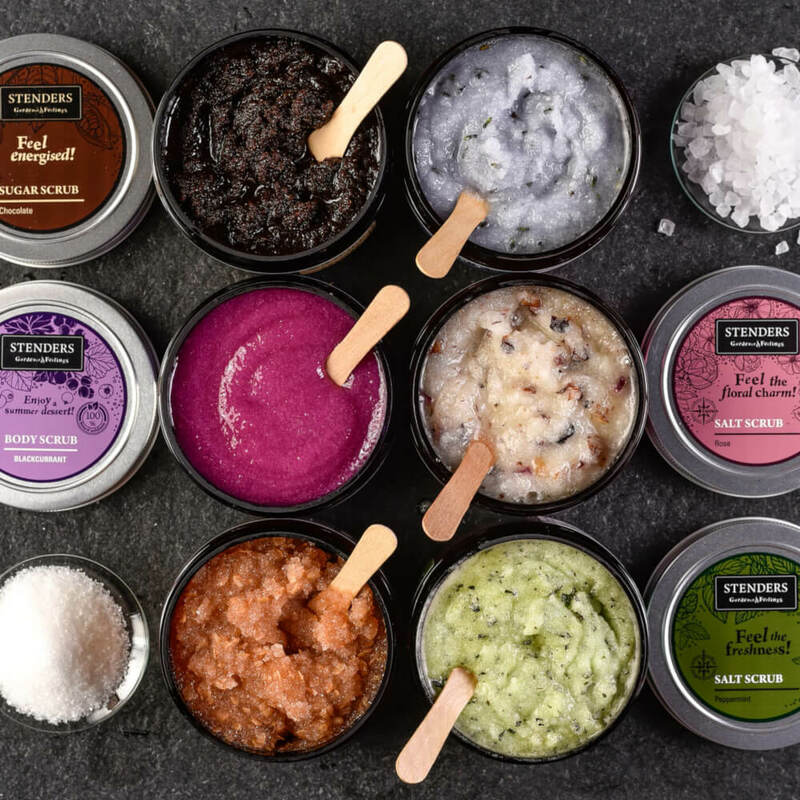 We believe exfoliating to be the ultimate beauty therapy you can treat your skin to that is why we’ve taken our body scrub game to a whole new level offering you a variety of deliciously-scented choices with powerful beauty benefits for skin that feels plumped with freshness and beaming with radiance. Lazy to moisturise after a shower? 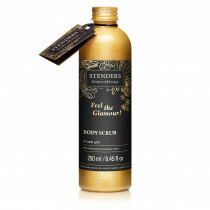 Or perhaps you are guilty of often skipping the important step of exfoliating your skin altogether? 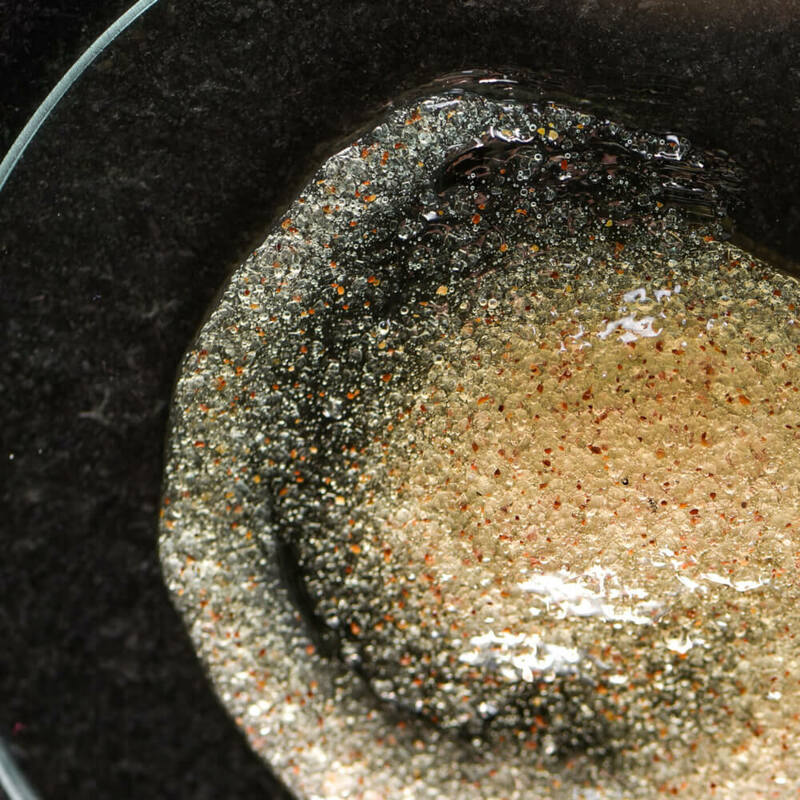 What if you could combine these two essential steps in a single treatment? 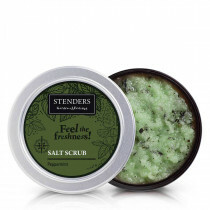 This is where our classic salt and sugar scrubs-in-oil come in spotlight! 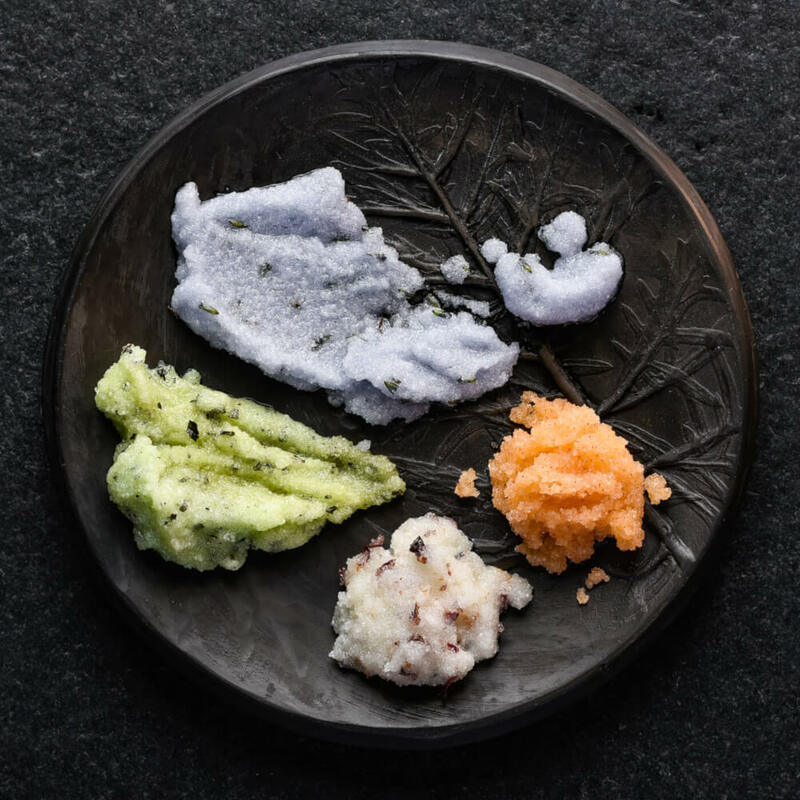 Made with salt or sugar crystals (more on that later), they approach your skin with in-depth purifying effectiveness, while the rich composition of precious, all-natural oils and butters, and we like to add a fair amount of those, help nourish, smooth and soften your skin in the same step. So, salt or sugar? 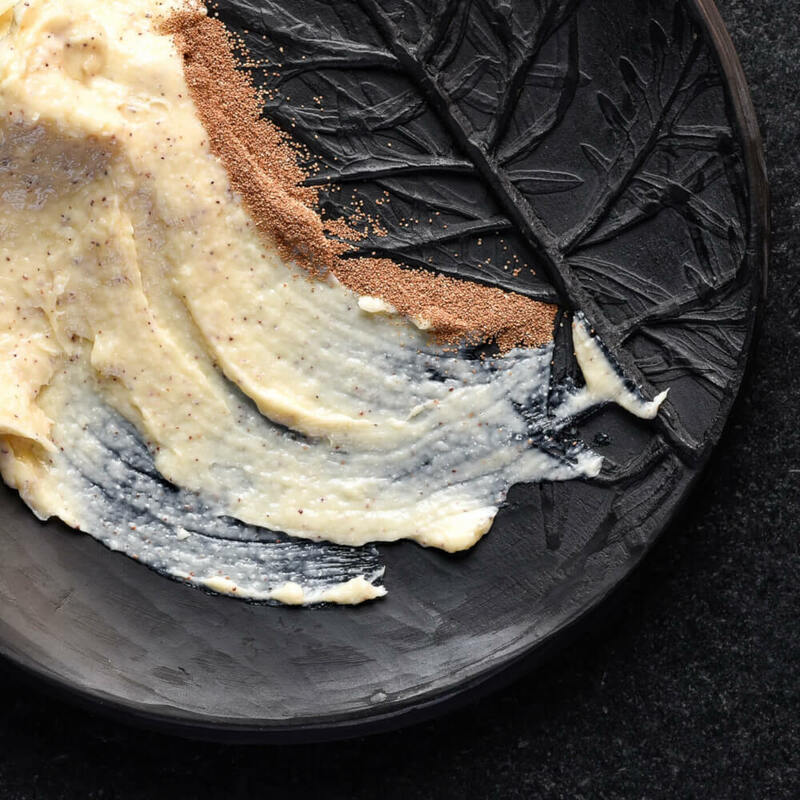 Whether you are a sweet or savoury kind of person plays little role here, since it’s not about the flavour, but rather the skincare benefits they bring to the table (pun intended). 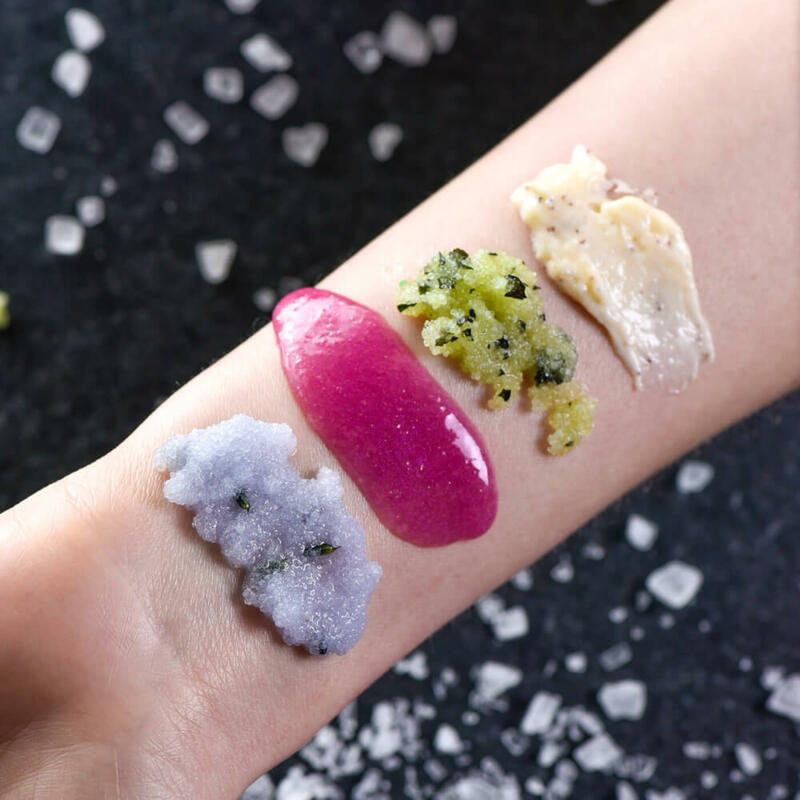 Salt, on its part, delivers deeper cleansing benefits, lending your skin a gentle detox for overall improved appearance. 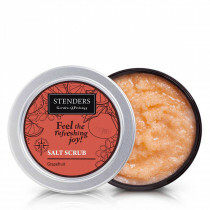 The finer salt crystals gently massage your skin, and combined with shea butter, jojoba and sweet almond oils help your skin shed the layer of dull, dead cells. 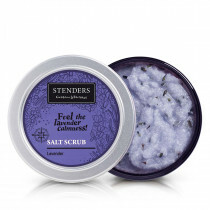 This leaves you with skin that is not only perfectly clean, but feels particularly soft and smooth. 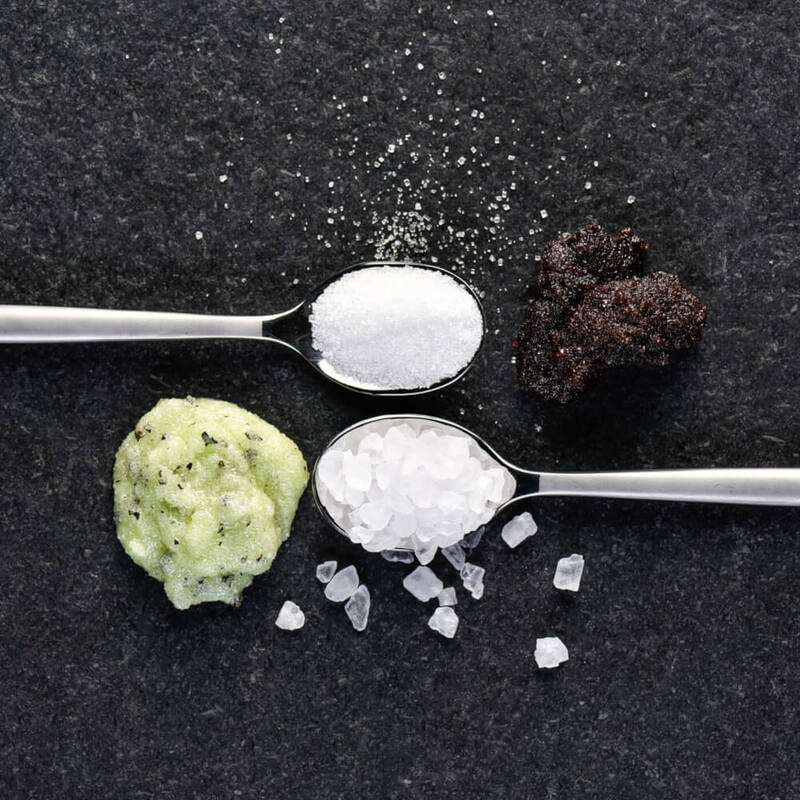 Sugar is courser in its texture, therefore the actual exfoliating action may feel more thorough that one delivered by salt scrubs. 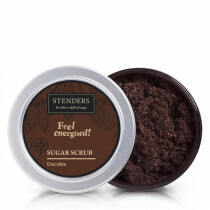 Our sugar scrubs also contain more oil which will leave this pleasantly velvety layer on your skin, however some may prefer a less oily option. Still uneasy on what to go for? For a sugar loaded beauty treatment we’ve gone for Apricot and Chocolate scented options, while you may experience the purifying effect of salt with our Rose, Lavender, Grapefruit and Peppermint scented peelings. 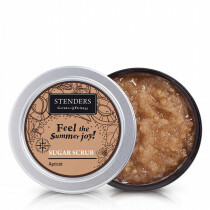 It’s an utterly pampering beauty experience for the skin and the senses with our new trending gel-textured sugar scrubs. 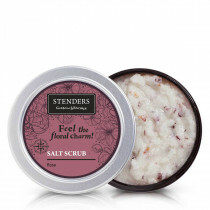 As you slowly apply them while in a bath or a shower, the deliciously-textured treatments melt onto your skin massaging away dullness and stimulating microcirculation for improved firmness and elasticity. 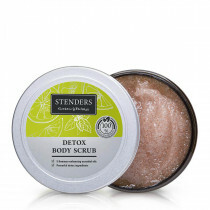 The innovative, all-natural exfoliants promote skin renewal, and natural extracts, glycerine and other beauty ingredients work to plumping your skin with freshness and reawakening natural radiance. As if that wasn’t enough, the juicy, mouth-watering aromas of blackcurrant, apple blossom and minty citrus will leave you feeling a gorgeously scented goddess. 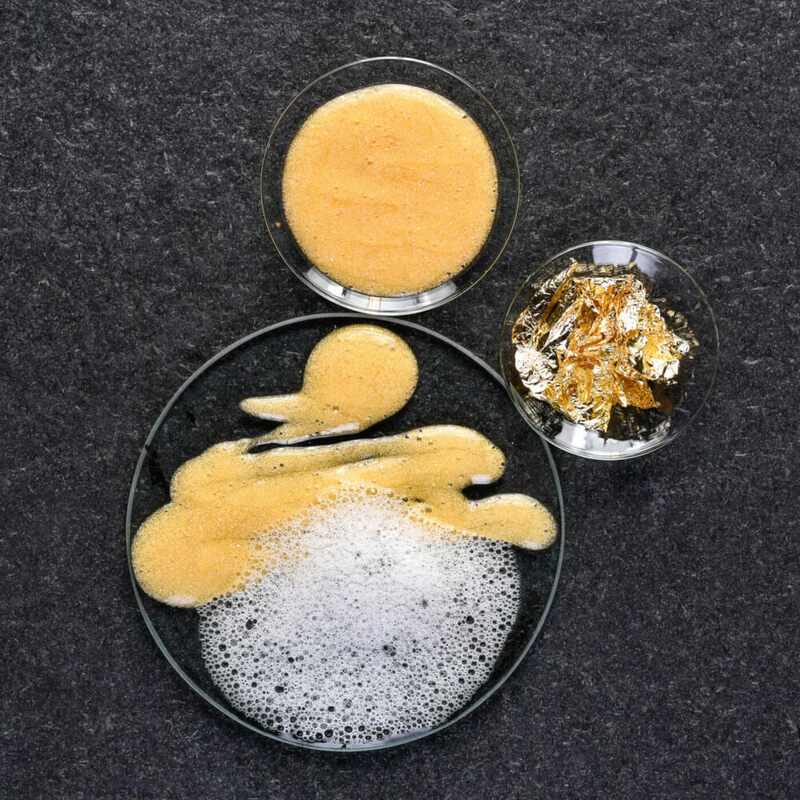 We love products that are natural multi-taskers – meet our most luxurious 24k Gold Body Scrub that foams up into a creamy lather to perfectly purify and deeply exfoliate your skin. 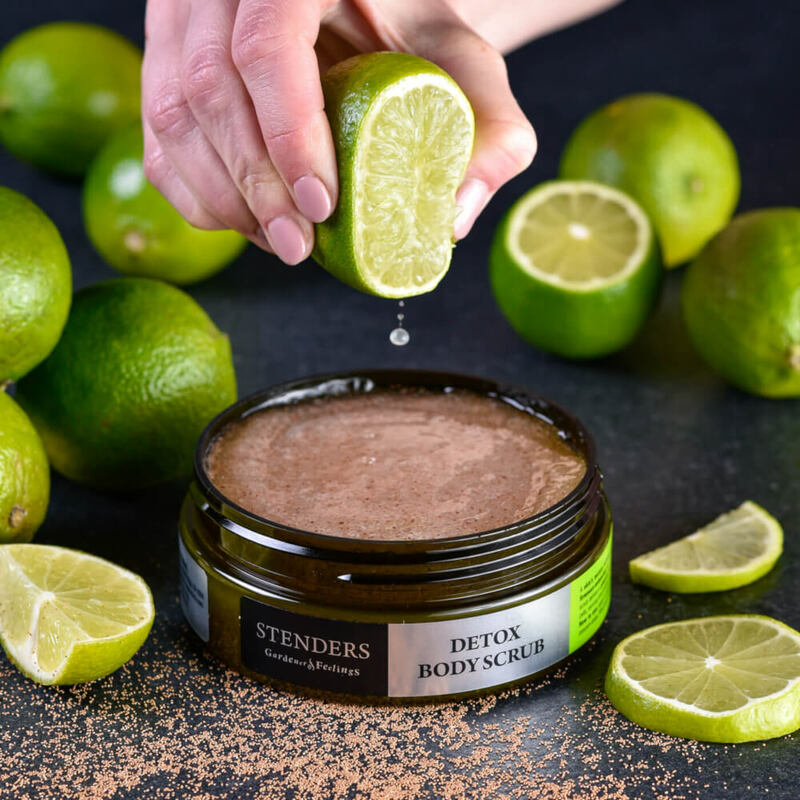 Cleanse your body all over to relish the benefits delivered by exceptional beauty ingredients and wrap your body up in a fragrant veil of couture-worthy aromas. 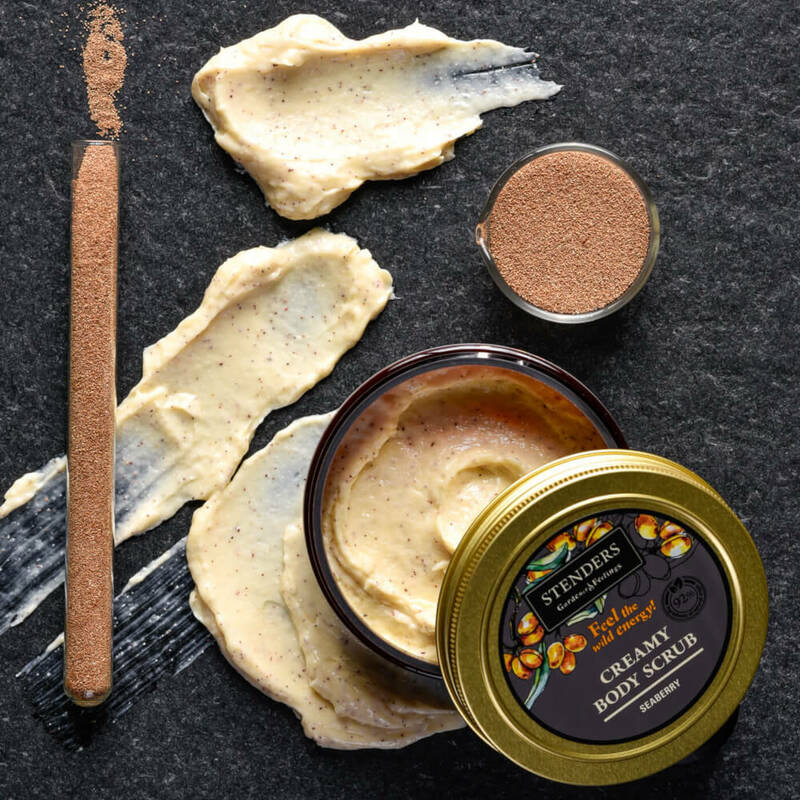 Treat your skin with exceptional kindness even when approaching it with deeply exfoliating, polishing cosmetics. Inspired by professional SPA treatments and highly praised among beauty experts, with seaberry-scented creamy-textured body scrub you are in for a true SPA-worthy experience with all the comforts of your own home. 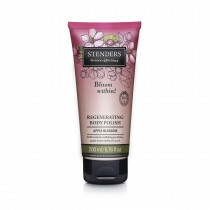 The gentle, kind-to-the-skin formula provides deeply cleansing benefits without stripping your skin of essential moisture, all while nurturing and softening for that feeling of silky smoothness with no oily after-math. Did we help you make up your mind here?